Napier is known for being a quiet town nestled between rolling mountains and blooming canola fields where peace and quiet reigns supreme. This serene beauty makes it the perfect retreat for artist and art-lover alike as Napier is also home to some of the finest artists in the area. Run by owner and collector Alan Rubenheimer and the only toy museum in the region, the Napier Toy Museum showcases a collection of rare and traditional toys from the previous decades. Alan also buys non-plastic pre-1965 toys and restores them to their former glory. Within the museum and adjacent beautiful garden you can watch boat and steam toys in action. These beautifully restored toy steam boats can also be purchased when in stock. The owner, Alan is also well-known for his impressionistic watercolour paintings which can be viewed on request. This all in one gift shop, coffee shop and accommodation is definitely not to be missed when visiting Napier. Hosts and owners Leon and Adri Visser welcome you to explore aisles of the cosy little gift shop and browse through the treasure chest of arts, crafts and all things wonderful. The most interesting part of the shop is undoubtedly the downstairs collection of militaria. Browse through the collection of war medals, uniforms and chess sets depicting epic battles while listening to Leon recant the stories of old. Travel back through time with this unique collection of history and legend. 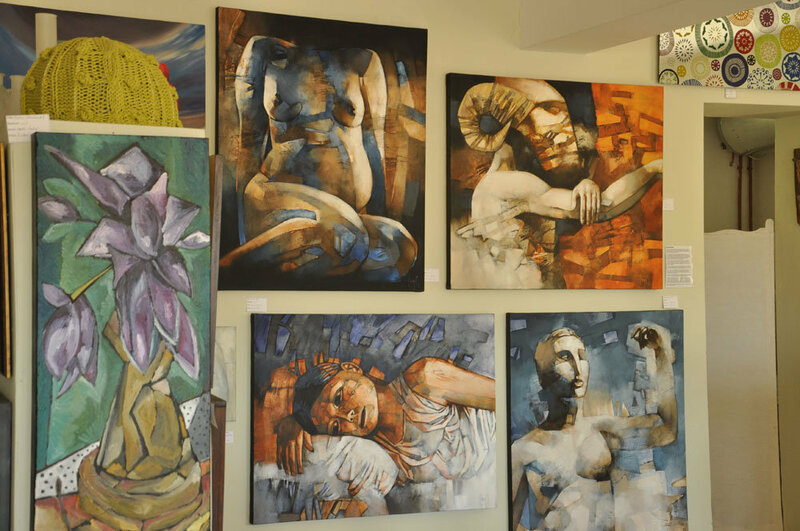 If you enjoy seeing art come to life then Riek’s Art Gallery and Studio is the place for you. 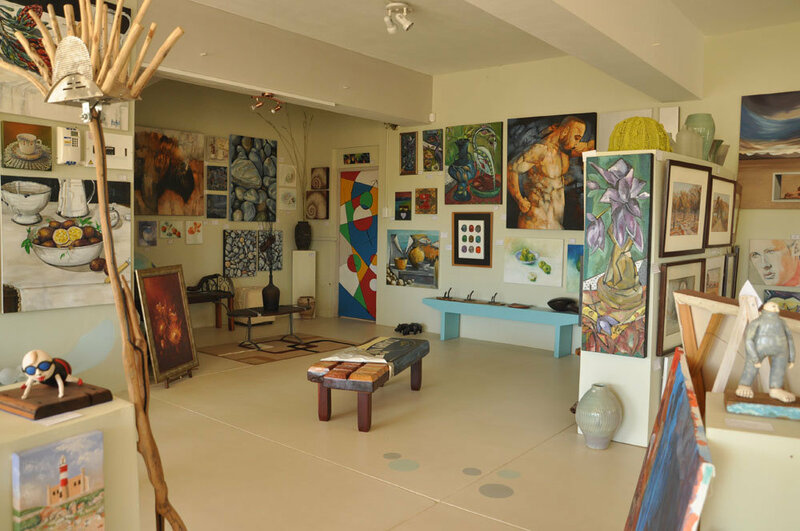 The open-plan sun-lit gallery hosts a varied collection of paintings, sculptures and tactile artworks from various artists in the area. you are welcome to walk through and view the works of artists like Annette Barnard, Tarryn Gordon, Andre Minnie, Ilse Nel and many more. Visitors are also invited to join Riek next door in his studio and watch him create unique pieces like tables, lamps, chandeliers and post boxes from recycled items that have lost their use. Visiting Napier means letting time slip away and delving into your creative side. There are also other art galleries and shops like My Skat, Greta’s Place, Hero Stained Glass and Napier Antiek to visit and explore. So sit back, enjoy and let the creative juices flow.